The article linked below is controversial, yet realistic in its characterization that charter schools are founded on a history of racism. 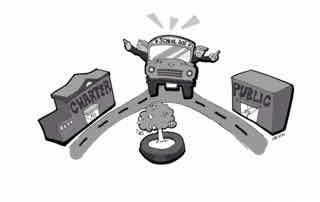 I have had experience with public, parochial and charter schools and found this article to be very interesting. I invite comments, which either support or object to the premise contained in the article. The Racist History of the Charter School Movement | Alternet.